I worked crew for an elaborate production of The King and I in high school. It was fantastic for such a production, but one problem I took away from it was that I could never remember where it took place. Burma I remembered fine. The king constantly disparaging Burma, saying it like it was hilarious, beneath mention, like a Cubs World Series championship. The children, horrified by a map showing that Burma was in fact a much larger country, and their land only a small thing on a far grander world than they had been taught. Burma Burma Burma, it was the Marsha of the Eastern Brady Bunch. But for whatever reason I forgot they lived in Siam. 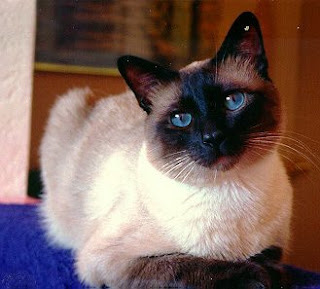 Siamese, that I'm fine with. The cats are adorable. I've never actually seen "The Lady and the Tramp," but they have a cute song in that too. Mr. Burns makes dated references to Siam in early Simpsons episodes, back when people still watched that. But Siam as a country never stuck with me. And now it's gone. Burma lives on though sometimes called Myanmar, but Siam died, becoming Thailand. Myanmar, your anmar, the important thing is there's anmar. Yes, this entire post was a lead in for that one very bad joke. Shut up.